Hi @Zach_Kaplan @paulkaplan and others, As the new year started I was ready to receive "3D profiles (Curves on the Z axis) in Easel" feature in Easel. It was mentioned earlier ("https://discuss.inventables.com/t/new-guy-questions-questions-questions/23953") in May 2016 by Zach Kaplan. But where is it now, or when is due to be scheduled? I really need it. 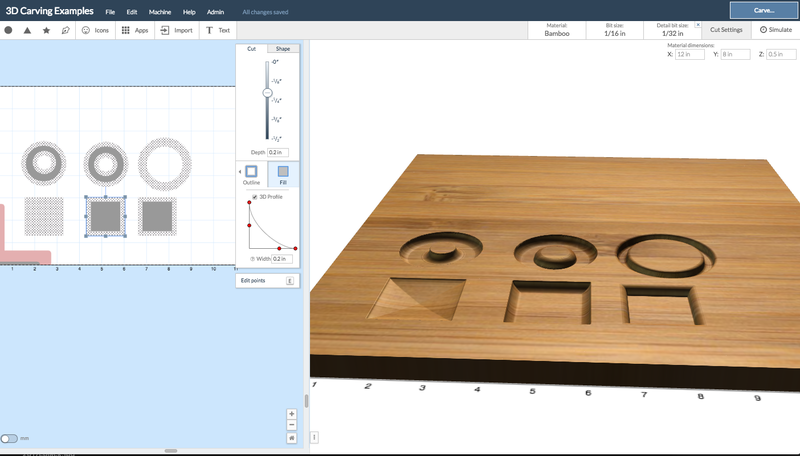 I tried the alternatives (GRZ, Fusion, Kiri Moto etc), but they require some CNC understanding and are far less intuitive. My purpose is to make prototypes, not to become a CNC pro, so the software is only a simple means to create the models, not a goal as such.